The Yahoo! 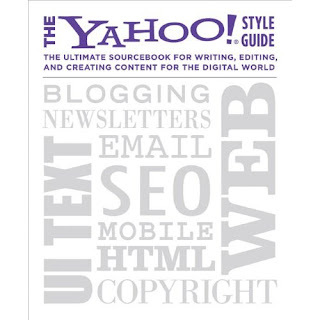 Style Guide: The Ultimate Sourcebook for Writing, Editing, and Creating Content for the Digital World , joining the ranks of venerable style guides that have recognized the need to address how content is written in the digital age. 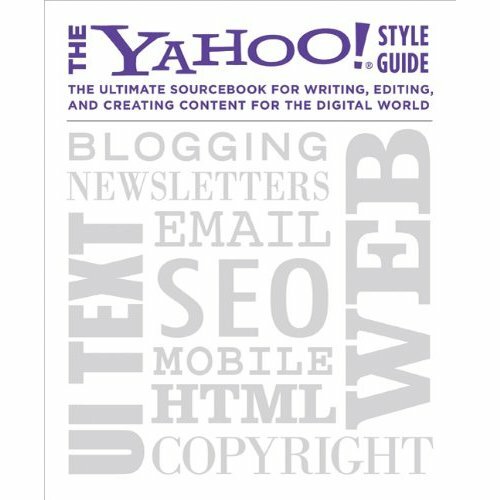 Without always saying so, Yahoo is concerned about the tendency of editors to transfer print standards to the Web. For example, newspaper journalists like to use italics to convey everything from emphasis to irony. 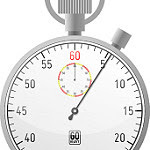 But as the guide points out, those italics don’t show up in online RSS feeds or search-engine results, so the reader may get a completely different impression from what the author intended. What's guiding your style in the digital age? If you have another guide to recommend, add it in the comments.